At the top of this page is a link/button called 'New Topic'. Clicking on that will allow a user to post....a new topic, one even that can have the heading "What constitutes commercial use in fan art/communities/games?" [or whatever one wishes to title it] and the tangent/s can be explored ad infinitum. Sure, sounds good; I'm happy to split tangent topics off when desired. But probably tomorrow; sleep beckons. Once Brad has declared there is no issue with the status of commercialism [lack of] with UQM then that particular question is closed - done and dusted. I'm going to disagree a bit here. I presume that the finality in those statements is because Brad is currently the CEO of Stardock, and not because you consider him to be the ultimate authority on questions of trademark law. But the reason that I'm pursuing this line of inquiry is because I'm trying to figure out the potential risk of these trademarks hanging like a sword of Damocles hanging over the UQM project's head. Brad could retire, or change his mind. Stardock could sell the franchise, or go bankrupt and have it be bought by EA. These sort of things have happened many times before. So I would like to figure out, to the extent one can without paying thousands of dollars in legal fees, whether these trademarks could possibly be used against the UQM project, or against individuals who take branches from it and make and distribute their own (free, open-source) games using the Ur-Quan and other SC2 races. This has happened before with the P6014 project, and I'm hopeful that it will happen again. Brad could retire, or change his mind. Stardock could sell the franchise, or go bankrupt and have it be bought by EA. Or the world could end in fire and brimstone...or the 'second coming' could be satan and not 'the other guy'. This is a game forum dude. EDIT2: Also UQM resembles more Qt than a fan made project which they started doing without permission of the author. UQM as Qt were given the source code. In Qt case KDE wanted to ensure that even after changing hands the Qt Project would remain free. “I am not a lawyer” but I do know an example relevent to this discussion from the distant past of gaming. What little I know of the business and legal aspects of games I learned from John Olsen. John was a vice-president of Games Workshop and he set up their original network of retail stores throughout America. Then he bought Task Force Games, and almost immediately after that hired me. He taught me most of what I know of the business of games. The law evolves over time and this is from a previous and very different game industry. The law has almost certainly changed a lot since then, especially with a very different game industry having certainly had many cases since then. But in the old hobbyist game industry anyone could legally make an expansion to anyone elses game. As long as you were not attempting to fool the audience into believing that it was an official expansion, imitating logos, etc, then you could make an expansion to any game on the market and that was perfectly legal. Many SCII fans are older, and most people have played Axis & Allies. Some of you may remember the most famous “Unofficial Expansion”, the one for Axis & Allies. It added destroyers, paratroopers... lots of stuff. If you ever played that, it was not from Milton Bradley. That was an unofficial expansion. Many popular games like D&D, SFB, and Battletech had similar unofficial expansions. I made one of the first mods ever made for a computer game, it was probably the very first mod to be included on the disk for the game. The “IKNFL Unofficial Stat Patch” for Sierra's Front Page Sports: Football. The term “mod” didn't exist yet, and I called it the “Unofficial Stat Patch” because using the word “Unofficial” in the title had been the “safe, you won't be sued if you aren't imidating logos, etc by using that word in the title” thing to do back then. This was the law during those days, and I just thought it was a relevant example to post here. Regarding mods this is probably still the same. There are several cases when a Mod even turned out to be a game later like Team Fortress, Counter Strike, Dota and so on. If you look at Rimworld the creator even incorporate the best mods (with the author consent) into the base game. For the sake of Brad (and everyone else), I sincerely hope that his retirement comes before the apocalypse. Really though, the person in charge of this trademark has already changed at least twice since it was filed, with at least one of those being involuntary. It seems naive to assume it could never happen again. It's not like one idea that popped here will be the thing that will save UQM from future evil trademark holders. I bolded and embiggened your words for emphasis The owner of the trademark has changed before and there has been no threat to UQM... why are you so afraid of the ownership of someone who is ACTIVELY a fan and participant in your fandom? What you are doing is like Chicago Bull's fans suddenly selling all of their season tickets because Scotty Pippen bought the team when they really really really wanted Jordan to do it. Again: Stardock, like Atari before it, could shut down UQM at any time if that was what it wanted. There's no reason to do so. It's not engaging in commerce. It's not doing anything. It's just a repository of source code and other assets. I've seen it argued that corporations aren't people. Well, UQM isn't even a corporation. Me putting code on Sourceforge doesn't create life. To engage in commerce there has to be a who before you even get to the what. That is coming from the boss of the company. There is no one in the company above him. He speaks for stardock. Again: Stardock, like Atari before it, could shut down UQM at any time if that was what it wanted. That's really the point that's triggering the discomfort. 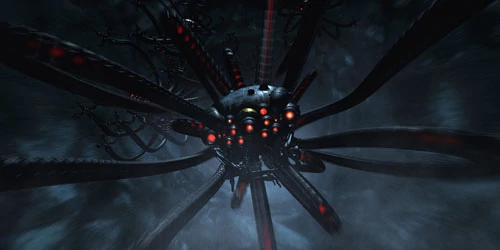 The UQM project has operated for the last 15 years under the assumption that it was fully independent and immune to any such threat, since we removed all use of the registered mark "Star Control". Now you are asserting that this was wrong, because every distinguishing name from the original game is similarly vulnerable under common law, and that we're only alive for as long as you like us. If you do, I promise that I will shut up and never bring this topic up again. One point to make is that the same way Star Control can change hands later or even the remote possibility that Brad changes his mind. The same goes to UQM, things that shouldn't be added to it which could be added later or someone later releasing a game commercially using UQM as the base. For UQM to be really protected it should act more like a mod than a standalone game. I have seen several remakes in which the developers reverse engineered the code of a game and for it to work it still needs the base game installed. Like the original X-Com if I'm not mistaken. In this case UQM wouldn't even be 'stealing' Star Control 2 sales because it needs the actual game to work. There are plenty of other fan projects/communities out there that are in the same situation as UQM, in that they continue to live on at the sufferance of the trademark holders. Very few of them have ever gotten such a dispensation, and even fewer actively worry about the problem because there's nothing they can do if the trademark holder decides to go after them. If being subject to the sufferance of the trademark holder is such a cause of anxiety for you, you might want to reconsider how invested/involved you want to be in the fan project/community. Stardock is not treating UQM any more or less fairly than it has treated any other fan project or community that involves their products or trademarks, nor is Stardock's operating procedure out of the norm for companies in general. The norm is for fan projects to exist at the sufferance of the trademark owners, and this norm has worked just fine for most projects out there. UQM is not special in this regard. That can't happen. The code is under GPL, and the content under CC-BY-NC-SA. Both licenses are viral; any derivative work is automatically under the same restrictions. Yeah, it still doesn't stop people from doing it. It's not like if one person does it he will immediately be jailed. Someone has to take action, be it the one who holds the copyright or the trademark. Cease and desist letters needs to be sent and then someone has to sue them if they do not comply. Who in the UQM project is willing to send C&D letters and sue people over this? Well, if Brad did the trademark license as proposed above (#636), Stardock could go after anyone who broke the CC license's non-commercial terms. And the UQM community would probably cheer it on. Think the largest issue here is there is very little upside for Stardock to spend resources/cash on having a legal document drawn up. So while that may be a great thing for the project, the only gain from Stardock would be a little goodwill. Not that there is anything wrong with goodwill, but with this whole ordeal going on, the timing doesn't seem right to even be asking for that at this moment. I agree that the main benefit would be goodwill - I think if one were to look at the tone of the discussions on the UQM forums, Stardock's popularity didn't take that much of a hit when it sued Paul & Fred, but it crashed when Stardock filed for those new trademarks, because those are a potentially existential threat to the project. Licensing them this way would eliminate that threat, and prove Brad's good intentions - that he wants to support the project, not control it. I doubt it would be a major undertaking; Stardock's IP lawyers probably have a template on file that they could tweak. If Brad indicated willingness, I could probably even get him proposed wording (by a real lawyer, not me). Who, specifically would this agreement be with? You can't create an agreement for UQM for the same reason it can't engage in commerce. There is not "they" here. It is an open-source project. Copyright licenses you can release into the wind (from public domain to various open source agreements). This gets back to the fundamental misunderstanding of the entire dispute. As a developer, you are no doubt aware of the concept of atomizing. Property is atomized. You have to tie each piece to an individual at the end of the day. This is why the dispute between Stardock and Paul and Fred is not that complicated (contrary to the noise being generated). 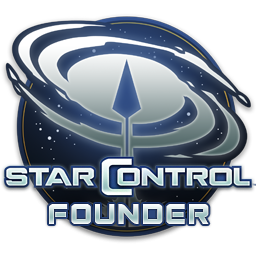 Stardock acquired all of the registered trademarks and copyrights to the Star Control franchise and assumed several of Atari's agreements. If you are looking for a loophole to hand-wave any of these things, you are, by definition, grasping at straws. When you ask "how much did SC make in year X" it's like asking "how much did Mickey Mouse merchandise make in 1953?" The trademark is assumed to be valid because we assume the people filing them aren't committing fraud. The onus isn't on us to retroactively prove anything. We already have the trademark and the trademark was in active use when we acquired it and since we acquired it. The copyright to Star Control 3 was legally transferred to us. The various contracts were represented to be active and assumed by us. Paul and Fred chose to promote their new game as the "true sequel to Star Control". They even used the (R) (which kills any fair use argument even if they weren't explicitly forbidden from using the marks by contract even if the term of the agreement expired). They have refused to stop doing this. They also chose to insist that the Star Control aliens would be in their new game and represent themselves as "THE creators" of Star Control which is a real stretch given the number of major creative contributors. I think the obvious purpose of their claim (which is a new one -- watch their GDC postmortem) is to mislead people into thinking that a new game from them will likely have the same magic that Star Control 2 did. But there's no reason to believe that given that we now know that nearly all the most famous elements that people discuss on forums were created by other people. That doesn't detract from their awesomeness but their awesomeness doesn't give them the right to diminish the contributions of others any more than it gives them the right to claim that Galactic Civilizations "borrowed heavily" from them. Their actions created a lot of confusion in the market. and call it a day IMO. But obviously there's a ton of actual confusion to add to that. On the copyright side, things arguably are murky but Stardock has relatively little interest in that. Stardock had every reason to believe that the 1988 agreement that Atari represented as being active and assumed by us was still in force, particularly since Paul appeared to confirm that it was back in 2013. But in any case, having the DOS games up on Steam doesn't cause any damage and there are no statutory damages involved if we turn out to be mistaken and we have removed the games for sale pending resolution. ...Which brings me back to the point of atomizing property rights. What could Paul and Fred have copyrighted? I'm no lawyer but I've been dealing with IP for a quarter of a century as my job. I've helped invent technologies that all of you likely use frequently, I've patented other technologies you will likely use in the future, I've got copyrights and trademarks and I've handled probably close to a thousand licensing agreements over my career. So what, exactly, could Paul and Fred possibly claim a copyright to? IMO, that would be the alien designs (visual expressions). That would be any original elements of the ships they designed the user manual and probably the script. I could be wrong on that last part. That would be about it. Which is still a lot. For example, we couldn't just copy the SC2 ships and put them in without making changes. For example, look at how different the Earthling Cruiser is in Origins than SC2. You'd have to make similar changes to all the ships and some of those ships would be very hard to do imo (the Spathi for instance seems like it would be hard). That's why we wanted a new license for just those ships at a lower royalty rate. Substantially similar is in the eye of the beholder. But no one is better set up to handle it than the 9th circuit as that's where the entertainment industry is. Where do you draw the line on substantial similarity? I don't know. I would probably say that the third image is easily safe. The second image might be safe. The first image I'd say is most definitely not. I don't like the second Spathi but I can pretty much garauntee that it would be safe from copyright infringement. And yet, the Star Control community never once argued that the second Spathi wasn't a "real" Spathi. The point being, in every case, you have to atomize each element. What would make an image violate someone's copyright? 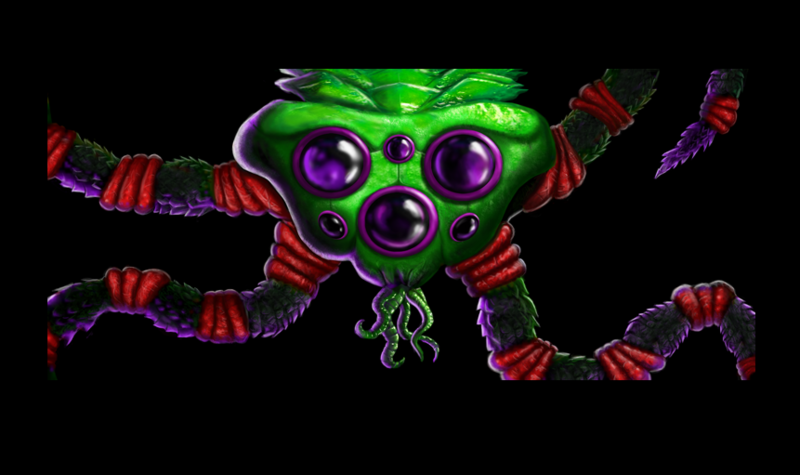 In the Spathi's case, IMO, it would be if it had mechanical arms, was green, had a weird shaped pupil, that the eye socket wasn't completely encircled. Following that, you say, who does the copyright belong to? The first Spathi image belongs to whoever created it or whoever they assigned it to. I have no idea who that is. The second Spathi, by contrast, belongs to Stardock as we have the registered copyright for it. We could simply reproduce that Spathi without fear. Not sure we would though. What I wish the UQM community would understand is the tremendous marketing sacrifice we were willing to make purely out of love for Paul and Fred. We were willing to go without using the aliens from the classic series just to make it easier for them to return to tell their story in a future game -- even if they didn't want to work with us. But that isn't the same as saying that they could just do it without coordinating together in some fashion to avoid confusion. The Star Control aliens are part of...duh...the Star Control universe. This isn't remotely controversial. 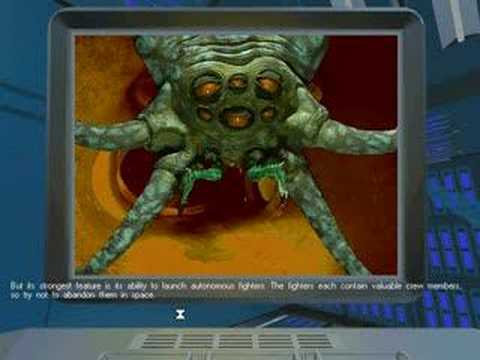 If someone else wants to use the aliens associated with Star Control they have to coordinate with us to communicate to the fans how the games relate to one another. You can't use Star Control aliens and then say your game has nothing to do with Star Control. That's very confusing. You also can't say your competing game is a sequel to Star Control (can I say that Star Control: Origins is the sequel to Mass Effect?). I have no idea how any of this will end. I am still shocked that any of this happened in the first place. Star Control ended up in the hands of Paul and Fred super-fans. Some on the UQM forums talk about being fans but none of them were willing to put up $9 million to bring Star Control back AND do so without using the original aliens out of deference to Paul and Fred in the hope that one day they would return. But instead of recognizing the tremendous boon they had received, they instead set out, imo, to ruin us after years of cooperation and support the moment they apparently got permission to work on their "passion project". You cannot even imagine how devastating that's been on a personal level. I agree that the main benefit would be goodwill - I think if one were to look at the tone of the discussions on the UQM forums, Stardock's popularity didn't nosedive when it sued Paul & Fred; it crashed when Stardock filed for those new trademarks, because those are a potentially existential threat to the project. Licensing them this way would eliminate that threat, and prove Brad's good intentions - that he wants to support the project, not control it. You are probably correct in that it is not a large undertaking. Doesn't change the fact that this is probably not a good time for things like this to be done. Maybe after this whole legal affair has been put to bed would be a better time to broach a request like that. The second Spathi, by contrast, belongs to Stardock as we have the registered copyright for it. We could simply reproduce that Spathi without fear. Not sure we would though. For the love of all that is sacred and holy in the universe! Please, don't use the second Spathi! Burn it with fire! You have not answered because you can't answer for UQM nor the UQM has someone to answer for. Did you read about Qt? The KDE Free Qt Foundation already played an important role when Nokia bought Trolltech, the original company behind Qt, and later sold Qt to Digia, which then founded The Qt Company. The contracts are carefully worded to stay valid in cases of acquisitions, mergers or bankruptcy. The history of the past 17 years has shown how well the legal set-up protects the freedom of Qt – and will continue to protect it in the future. Even they are not sure it will always be possible to keep Qt free, but they have done several steps to ensure it will and they must keep doing it to ensure Qt freedom. They needed to design a document that is very well worded for it to be possible and even so this isn't a guarantee. First off, I want to thank you for making the effort to write that very detailed post. I will try to give it a more thorough read and reply (possibly on a new thread) when I have a bit more time. Regarding the license, when I first proposed the idea (~reply #543, I think), I acknowledged that I wasn't sure how it would work for a trademark, and if it's not possible due to some twist of the trademark rules, so be it. Obviously, an IP lawyer would need to be consulted. But it seems like a trademark can always be "used with permission", if the trademark owner agrees. Perhaps this could be a public covenant that any product that followed the CC-NC license rules would have your permission to use the UQM marks, and could rely on that permission never being withdrawn as long as it continued to follow those rules. The goal would be to give people confidence by making something legally binding and irrevocable, rather than just an informal assurance. If this could be done, it would be a great way of matching actions to the reassuring words you've been saying since you filed the new registrations. If you indicate a willingness in principle, I can ask around and try to come up with something more concrete. The public covenant would have about as much legal force as what Stardock is currently doing, since it can be withdrawn at any time at their discretion, much as they can decide to change their minds about whether UQM's usage of Star Control trademarks constitutes confusion or not. There is no mechanism by which to enforce such a covenant, as Stardock's position as the sole owner of the trademark means it has the final say on anything dealing with it. If they decide they do not want to honor the covenant anymore, trademark law gives them complete freedom to do so. The public covenant would have about as much legal force as what Stardock is currently doing, since it can be withdrawn at any time at their discretion. That would be a question for an IP lawyer: "To what extent can a company's public statements limit the scope of its ability to assert its trademark rights in the future?" I don't pretend to know the answer. I know Microsoft, at one point, tried to limit its patent rights using such a covenant, so that there would be less reluctance to put those technologies into open-source projects and technical standards. Obviously, trademarks have different rules, but I wouldn't assume that it's impossible to do something similar until an IP lawyer has said so. It also occurs to me that lots of software has an "End-User License", that licenses certain IP from the owner to the user, even though they haven't sat down together and signed a contract specifically between the two of them. Perhaps such a license could be given to the UQM mainline, and include unlimited sublicensing, such that any derivative works of the mainline inherit that license. Again, these are questions for an IP attorney.